“I want waffles! I want waffles!” Is the chanting I hear at 8:00 in the morning. My kids are starving for the sweet, crispy, light and fluffy decadence a waffle brings to their palate. Oh, “I only make those on the weekend I say”. So waffles it is. 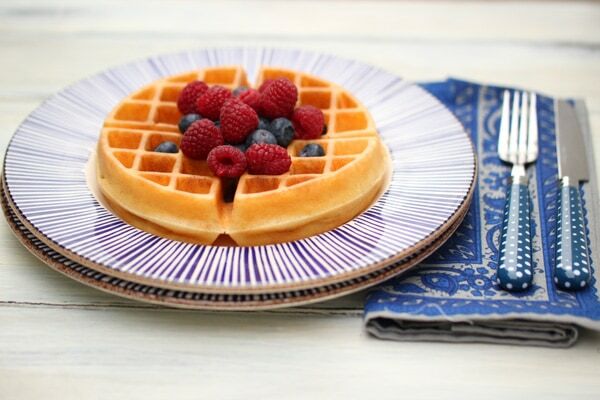 These waffles are the BEST GLUTEN FREE WAFFLES ever! They are crispy on the outside and soft and fluffy on the inside. My husband says “a great waffle should taste excellent just on its own.” I guarantee, this gluten free waffle lives up to that decree. In the past I used a cast iron waffle maker but it often made a HUGE mess all over my stove. I decided to get a Belgian Waffle Maker from Amazon and it took my waffles to a whole new level! No more mess, super easy clean-up and perfect waffles every time! These gluten free Belgian Waffles are pretty easy to make and they are done in 15 minutes or less. You can easily add chocolate chips or chopped fresh fruit to the batter to mix-up the recipe. 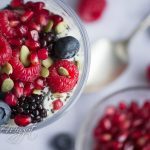 Share your comments below and remember to subscribe to my blog at the top right for more gluten free deliciousness your way! I am so glad your family enjoyed these 🙂 You can add 1-2 teaspoons of coconut sugar to the recipe. I have also added blueberries or chocolate chips. This is by far the best gluten free waffle I have ever had!!! I was just diagnosed with Celiac disease a few months ago, and I’ve been trying every recipe I can get my hands on. This one blows the others out of the water! These aren’t over sweet, have a wonderful tang, and the coconut flavor is light but present! Fantastic!!! This recipe is delicious! I substituted melted ghee for the coconut oil and GF all purpose flour for the coconut flour. Fantastic recipe! Best gluten free waffle recipe ever. Amazing how crispy they are and how they taste like real Belgian waffles. They get the thumbs up from all 7 Belgian Aussie family members. I am so glad to hear that your family is enjoying the waffle recipe! It is still our favorite waffle recipe after several years! Sometimes I add chopped apples and cinnamon, other days I add blueberries and for a special occasion, I add mini chocolate chips. Wow!! These are fabulous! Move over, wheat flour version, I think you just got replaced! Love how crispy they are. Thanks for this yummy recipe. 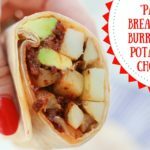 I’ve tried many Paleo recipes and they have proven to be just o.k. However, this recipe has got to be the best and is definitely my go to, for sure! I had always thought that it was so much easier to get a waffle from a box where all the ingredients are pre-measured for you and all you need is to add the liquid, until I tasted this simple recipe. This waffle recipe tastes so much better, plus, I feel better about the ingredients that go into it to make the perfect waffle! Ester, thank you so much for this recipe and keep up the great work. I always look forward to what you create next. It makes my day to hear how happy you are with the results! So glad you enjoyed these! You can add chopped apples and 1 tsp of cinnamon to the batter for a nice fall waffle recipe. I just made these for breakfast and HOLY WOW! These are amazingly good. I have finally found my waffle recipe! Thank you. Even my non-paleo eating gluten loving husband loved them. 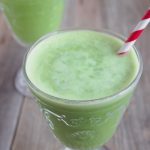 So many recipes claim to be the best, but these REALLY are!!! Thank you so much for a recipe that my family can’t get enough of! Can you use this batter to make pancakes? I’m staunchly resisting yet another kitchen appliance and so don’t want to do the waffle thing. I am in Waffle heaven. Perfect texture from the first one to the last. Can these be frozen? 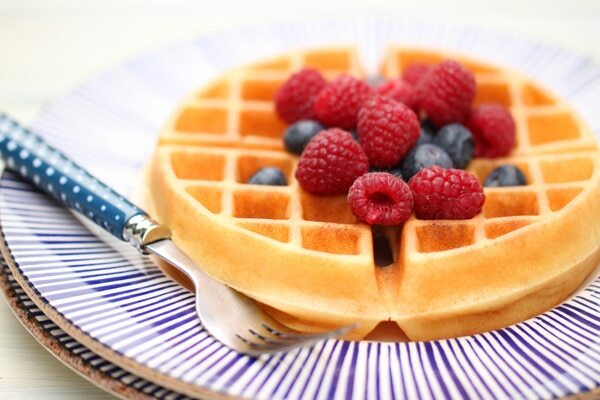 Have tried many gluten free waffle recipes and nothing comes close to these. Substituted ghee for the coconut oil but other than that made them as directed. Could not believe the flavor and the texture. (crispy outside, light and fluffy inside) The absolute best waffles we have ever had. Thank you for sharing. Hi Ester, I am sensitive to almonds, do you know of any way I could sub something else for the almond flour? Thank you! These look great! Have you every tried making them vegan? I’m wondering if a flax egg or other egg-substitute would still work well. Any thoughts or suggestions would be great! Thanks! I have never tried an egg substitute, please let us know how it goes if you try it. 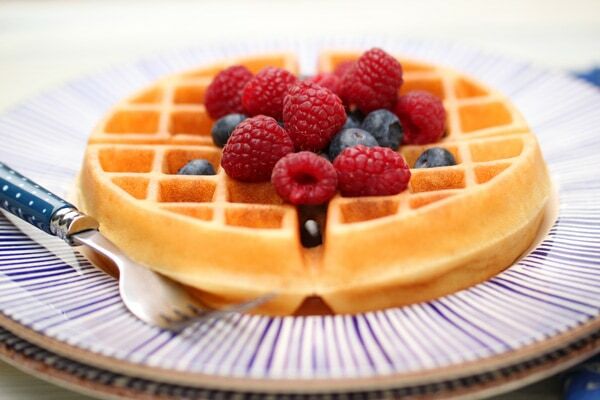 If you use a flax egg, try using a thinner waffle maker. 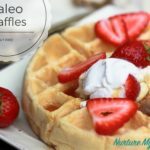 These are by far the best paleo waffles I have tried. 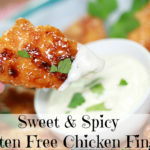 They are crispy on the outside and light and fluffy on the inside and so delish. I’m so glad I finally found it. Thank-you for sharing such an excellent recipe! These are the best waffles! Not even just best paleo waffles. So good! I’ve made them about 10 times now. So glad you like them! If you make other versions, please let us know! Thank you for this great belgian waffle recipe! I didn’t have almond milk on hand so substituted with coconut milk like another poster did. Instead of melting coconut oil to use on the waffle maker I used my Trader Joe Coconut Oil Spray. Very handy! Will eventually boil up some applejuice concentrate with cornstarch and blueberries for a healthy low cost syrup. Thank you again for your recipes. They have been a TRUE blessing! Thank you for your reply. I tried the waffle today with almond butter on top, instead of syrup and all I can say is WOW! I think this is my new favorite way to eat this from here on out. I can’t wait to put fresh strawberries on top of the almond butter next time I get to the grocery. 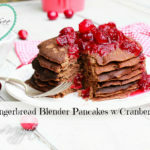 Thanks again for helping me to replace my old gluten recipes for these wonderful gluten free ones! SUCH a liberating feeling. Feeling blessed! Is there a different flour that could be used?? I’m allergic to nuts, gluten, and rice but I am dying for some waffles! Hi there! Made these waffles tonight and love how crispy they are! Thanks! Hi Ester! I tried this recipe today and it was really delicious. It really didn’t taste like a paleo waffle at all. The only change I made was I didn’t have almond milk so I used light coconut milk. 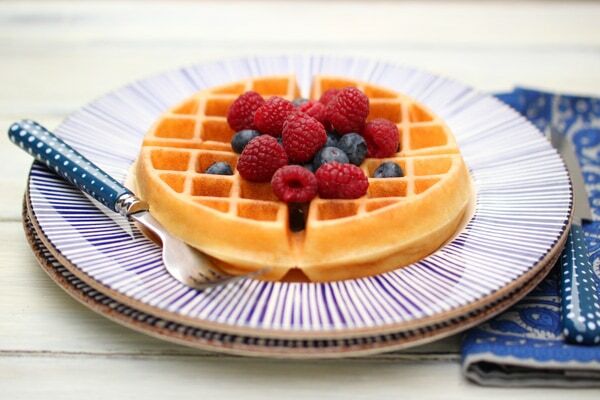 My husband and I love coconut so we love the flavor of this waffle. Thanks for sharing this awesome recipe!